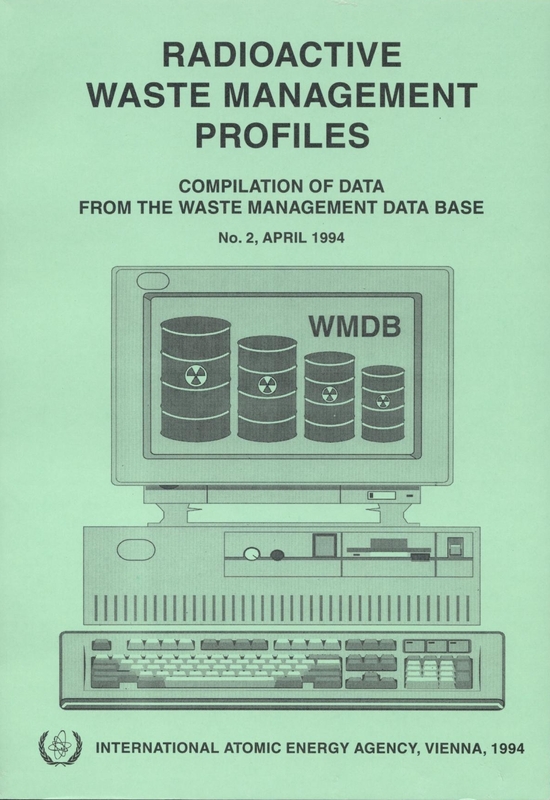 In recognition that international cooperation plays an important role in the development and implementation of national radioactive waste management programmes, the IAEA in 1989 began development of the Waste Management Database (WMDB). The IAEA has been collecting and publishing radioactive waste management data since 1991. The NEWMDB is an evolution of the old, survey-based data collection methods used by the IAEA prior to the year 2000. Before this system was developed, the Agency would collect waste management data via paper or floppy-disk from the Member States. Data were then collated by Agency staff and published every 3 years in a large paper report. The first NEWMDB data collection cycle was conducted in March 2002 (for year 2000 data). Subsequent collections have been performed annually from 2003 onwards. Version 1 of NEWMDB was released in 2001. Version 2 of the NEWMDB, released in 2004, was developed as a result of various review meetings and workshops involving more than 30 Member States. Every attempt was made to minimize changes to the scope and nature of data collected, to minimize the burden on Member States who had made data submissions using the original database, NEWMDB-2 has some modified and some new data fields. However, the most significant changes are related to improved workflow to make the database easier to use. Starting in 2004, the NEWMDB was given separate work spaces for Public and Authorized Users (i.e., country officials). The Public Area provides access to all publicly available reports and data. Access to the Public Area at that time required registration as a Public User. What you see here is Version 3 of NEWMDB. This totally new web interface was designed to make accessing NEWMDB data as easy as possible for members of the public as well as experts and Member State representatives. Addition contextual information has also been added, along with graphics and linkages to some of related IAEA database, such as the Power Reactor Information System (PRIS), and the Database on Discharges of Radioanuclidesto the Atmosphere and Aquatic Environment (DIRATA). Not all Member States of the IAEA are represented, but we are working all of the time to add more Member States and complete the data coverage as much as possible. As of 2007, the only Member States with major nuclear programmes that still do not report are India, Russia, China, and the Republic of Korea. Out of 144 Member States, the NEWMDB contains data reported from about 45, with 25 of the 30 current nuclear power states represented. In terms of nuclear power, this represents data on waste arisings and disposal from approximately 80% of the world's operating nuclear power infrastructure.